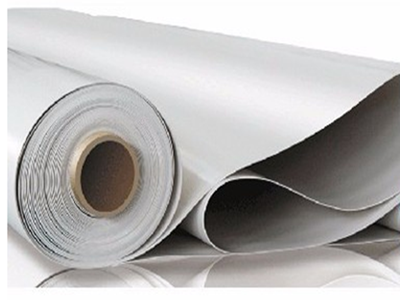 PVC waterproofing membrane is a high performance polymer waterproof sheets to PVC resin as the main raw material adding plasticizers, anti-UV agents, anti-aging agents, stabilizers and processing aids, by extrusion molding production polymer waterproofing membrane. Reliable product quality, convenient construction, various thickness, length, width can be customized according to customer requirements. As a result of this product over a unique formula, product life is far more than the general waterproof materials, long life of the entire water system, the roof more than 20 years underground for more than 50 years.J.S.Brown can supply many kinds of waterproof membranes such as building Waterproof Material,EVA Waterproof Membrane and so on.Due to high quality,we have exported to many countries. Looking for ideal Roofing PVC Waterproof Membrane Manufacturer & supplier ? We have a wide selection at great prices to help you get creative. All the EVA Waterproof Membrane are quality guaranteed. We are China Origin Factory of Building Waterproof Material. If you have any question, please feel free to contact us.